In 2012, one of the first companies I invested in as a defensive value investor was Centrica, the company behind British Gas. It seemed like a good idea at the time. 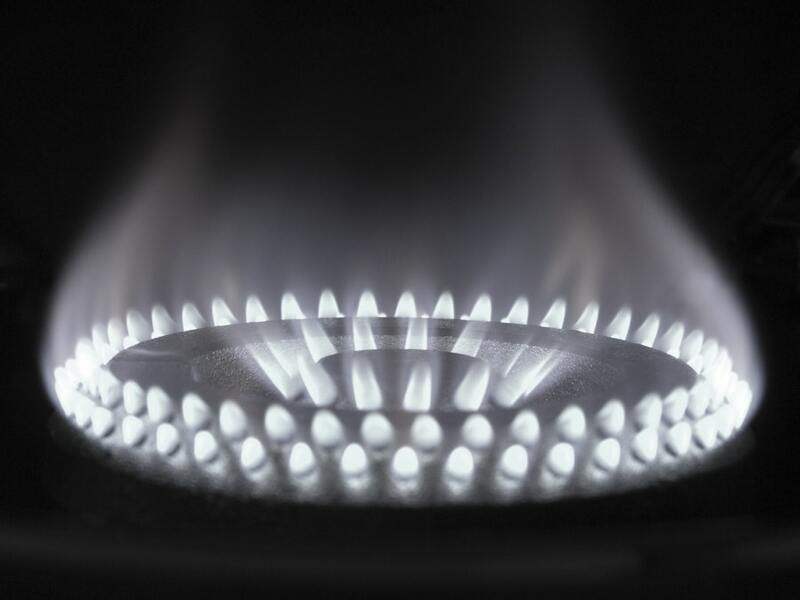 Centrica was a leading player in the defensive utilities sector, with a track record of growth and the best brand name a UK-based electricity and gas supplier could hope to have. But the investment did not work out well. 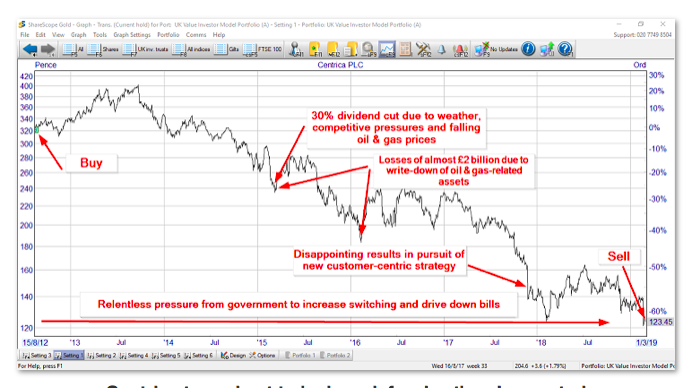 Over a period of almost seven years, Centrica’s shares have lost more than half their value and, even with a tailwind from regular dividends, the investment has lost value at an annualised rate of 8% per year. Centrica joined my model portfolio and my personal portfolio at a time when the company was very much on the up. Over the previous decade, Centrica’s revenues per share had grown by an average of 4% per year while the capital employed in the company (representing assets such as gas-fired power stations, wind farms and British Gas vans) grew by an average of about 11% per year. Perhaps more importantly, the company had grown its dividend progressively by around 14% per year. For a FTSE 100 company operating in the defensive Gas, Water & Multiutilities sector that was an impressive rate of growth, which you can see in the chart below (showing the three key numbers I looked at back in 2012: total revenues, normalised earnings and dividends per share). Along with this track record of impressive growth, Centrica was also available to purchase at what looked like an attractive price. Its dividend yield was a very healthy 5%, which compared well to the FTSE 100’s 3.8% yield. Given its above average growth record, the company also had a reasonable PE10 ratio (share price to ten-year average earnings) of 16.3, only slightly higher than the FTSE 100’s 13.7. Despite this alluring combination of consistent high growth and high dividend yield, Centrica and its share price soon found themselves headed into a long downward spiral. Over the next few years, a combination of falling oil prices, increasing competition and regulatory change produced a 30% dividend cut, losses of almost £2 billion and earnings which are still barely above zero today. (1) Was it obvious in 2012 that Centrica was about to run into these problems? (2) Did Centrica face these challenges from a position of strength or weakness (since strong companies can often benefit from industry headwinds at the expense of weaker competitors)? I don’t like to invest on the basis of what oil and gas prices may or may not do because they are too unpredictable. So falling commodity prices were not an obvious threat in my opinion. Anyway, I would expect Centrica to be able to deal with this via hedging, as managing commodity price volatility is a basic necessity of its business. As for increasing competition, I would expect a strong company to benefit from this as weaker competitors lose market share first or exit the market completely. 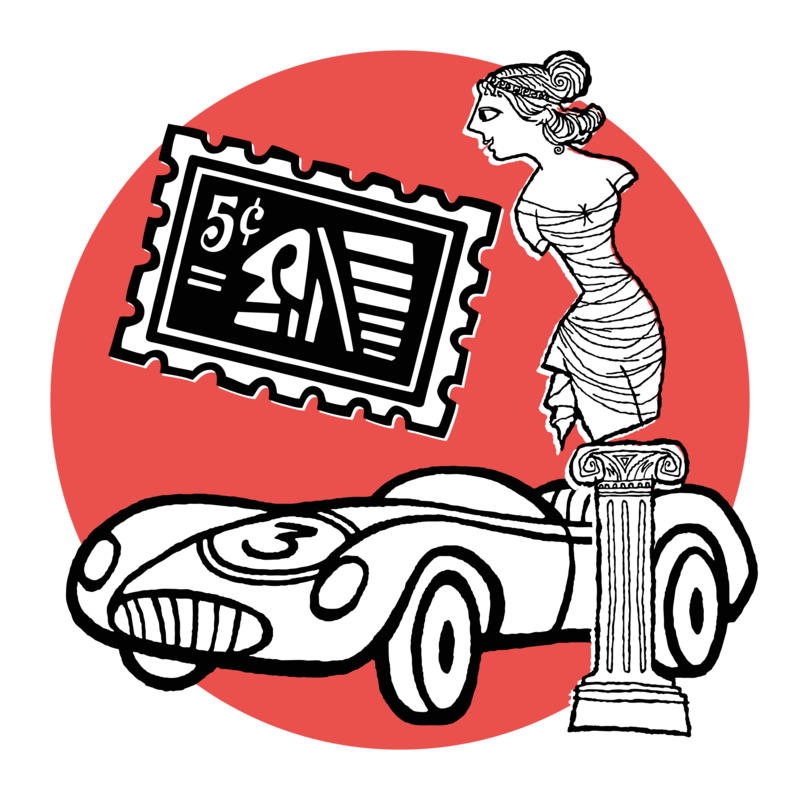 The same goes for regulatory headwinds, although I am gradually coming round to the idea that heavily regulated industries are more risky than they may at first appear. That’s because regulators can and often do change the rules of the game quite drastically, and in ways that even a highly competitive company cannot easily cope with (online trading and gambling is currently a good example of this). Rather than trying to predict the details of the future, I would rather invest in strong businesses which are better able to deal with an uncertain and hostile future than their competitors. Well, 2012 was a long time ago and I think I’ve learned a lot since then. As a result, my investment criteria have evolved to the point where they’re much more demanding than they were seven years ago. Looking at the Centrica of 2012 using my current investment criteria highlights five major problems which meant the company was operating from a position of weakness, not strength. Those five problems are what I want to focus on next. 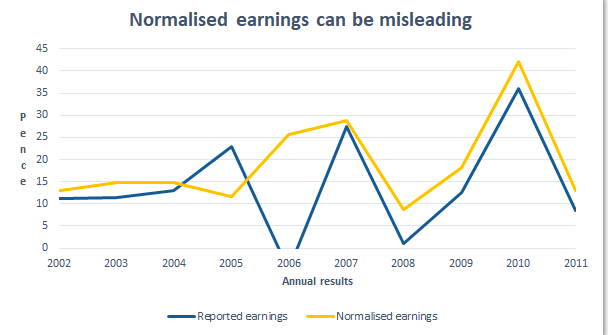 Until recently I only looked at normalised or adjusted earnings. That’s because they focus on a company’s core business and ignore one-off ‘exceptional’ income or expense items such as gains on the sale of a business or losses from writing down the value of an acquired business. I now realise that while this can be useful when looking at a single year, it’s a bad idea to focus on normalised earnings over a long period. That’s because the ignored exceptional items are (a) usually expenses rather than income and (b) add up over time. In Centrica’s case, its normalised net profit for the ten-years leading up to 2011 came to £8.8 billion. However, reported net profits (which include exceptional costs) were just £6.5 billion. So looking at normalised profits essentially ignored £2.3 billion of expenses, which inflated Centrica’s ‘profits’ by 35%. This obviously has a major impact on the company’s PE10 ratio, with normalised profits making the company appear far more attractively priced than its less flattering reported profits. Lower reported profits wouldn’t have stopped me from investing in Centrica, but I would have demanded a significantly lower entry price (at least 35% lower) in order to offset the lower earnings. Back in 2012, I didn’t pay much attention to profitability. However, following problems at Tesco and other companies, I added return on capital employed (net profit as a percentage of shareholder and debtholder capital) to my investment checklist in 2014. 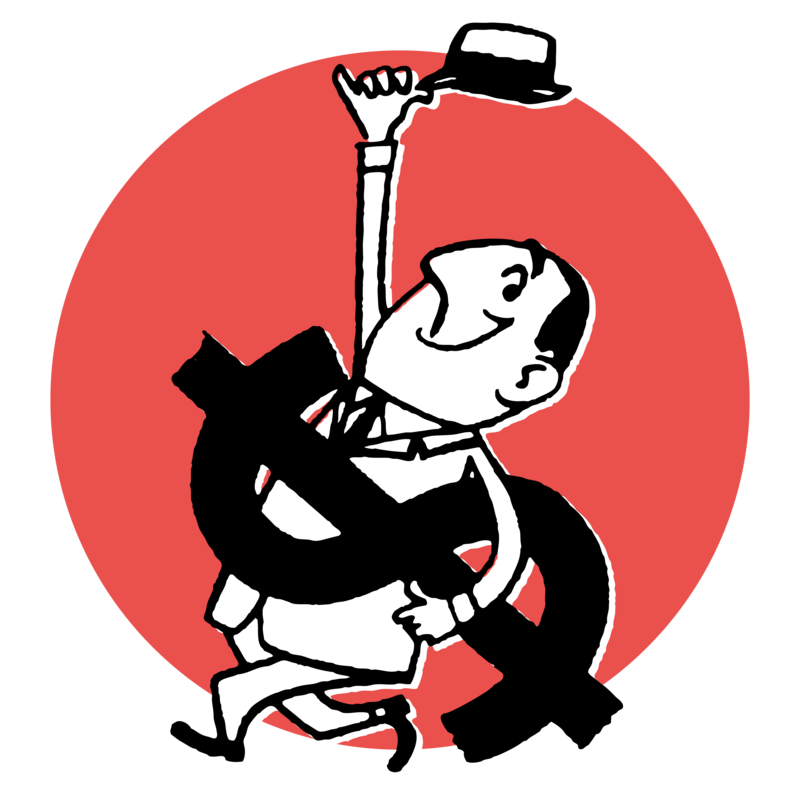 More recently, I’ve added return on sales (profit margins, i.e. net profit as a percentage of revenues) as a second profitability metric. 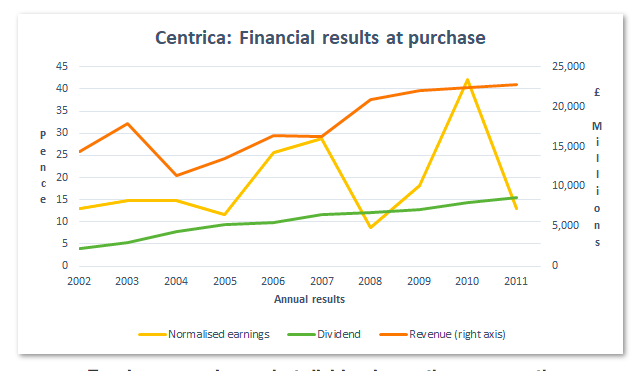 In 2012, Centrica had an average return on capital of 10.3% and an average return on sales of 3.6%, so its return on capital was barely above my 10% minimum while its return on sales was comfortably below my 5% threshold (I’m willing to allow some wiggle room with these rules, but only a little). (c) unattractive prices paid for past acquisitions (which isn’t so much of a problem as long as management don’t overpay for future acquisitions). 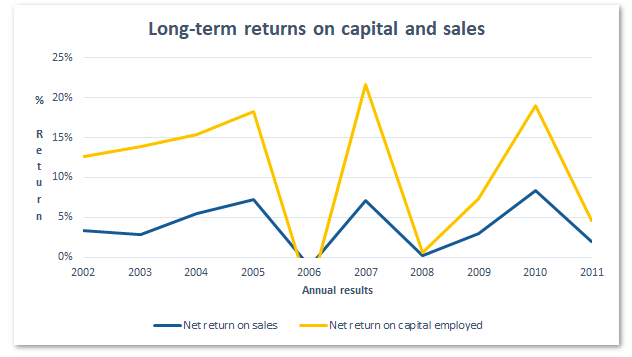 Second, thin returns on sales mean the company has a thin margin of safety between income and expenses. 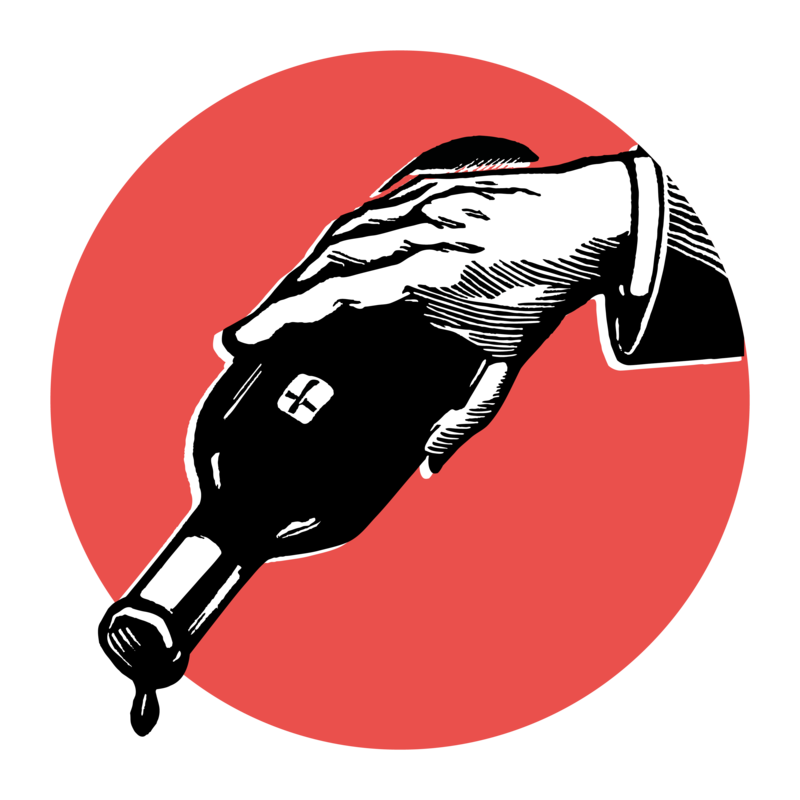 The problem here is that relatively minor downward pressure on income from customers or competitors, or upward pressure on expenses from suppliers, can have a major impact on profits. In short, Centrica’s mediocre returns on capital and thin profit margins would have put a very large question mark over its entry into the model portfolio.